For a fourth consecutive season, Mike Guerrero will manage the Biloxi Shuckers, the Milwaukee Brewers announced on Thursday. Guerrero's staff will include three new pieces, pitching coach Bob Milacki, hitting coach Danny Santin and athletic trainer Jeff Bodenhamer. 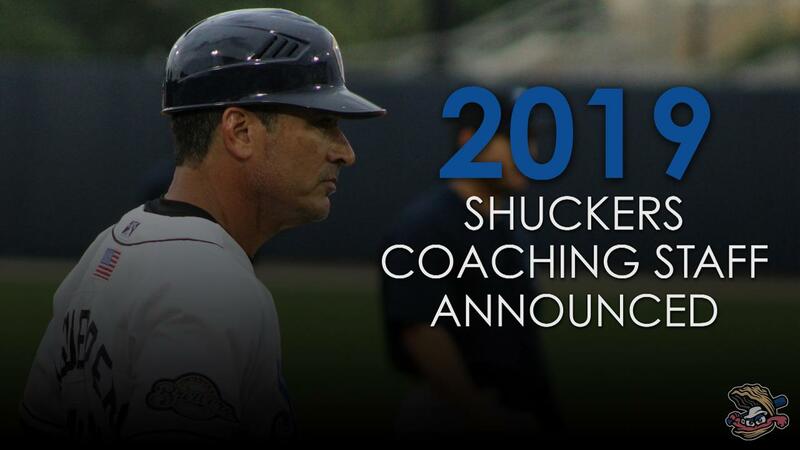 Meanwhile, coach Chuckie Caufield returns to Biloxi for his third season and strength and conditioning coach Nate Dine begins his fifth season with the Shuckers. Guerrero, the 2018 Southern League Manager of the Year, comes back after leading the Shuckers to their best record in franchise history in 2018, going 81-59 en route to a South Division Championship. Biloxi captured both halves and boasted ten Mid-Season All-Stars, three Postseason All-Stars, the league MVP and the league's Most Outstanding Pitcher under Guerrero's watch. The son of renowned scout Epy Guerrero, this will be Mike's 22nd season as a Minor League manager. During his time at the helm in Biloxi, the Shuckers have compiled a 228-196 record. Milacki takes over as the third pitching coach in Shuckers history. The 54-year-old enters his second season in the Brewers organization after serving as the pitching coach for the High-A Carolina Mudcats in 2018. Prior to his time with the Brewers, Milacki spent three seasons as a pitching coach with the Syracuse Cheifs (2015-17) in the Washington Nationals organization. Milacki also coached in the Phillies system (2009-14) following seven seasons as a pitching coach in the Pirates organization (2001-08). A second-round pick by the Baltimore Orioles in 1983, he pitched in the Major Leagues for eight seasons, hurling for the Orioles (1988-92), Cleveland Indians (1993), Kansas City Royals (1994) and Seattle Mariners (1996). New to the Shuckers and Brewers organization is hitting coach Danny Santin. A 34-year-old former Mariners and Marlins farm hand, Santin joins the Shuckers after working as the hitting coach for High-A Jupiter in the Marlins organization in 2018. Prior to that, he spent four years as the hitting coach for the Gulf Coast Marlins in the rookie level Gulf Coast League. Bench coach Chuckie Caufield rejoins the Shuckers for his third season and seventh in the Brewers organization. The 35-year-old spent three seasons as a coach with the Class-A Wisconsin Timber Rattlers and one season with the rookie-level Helena Brewers. Caufield was drafted by the Brewers in 2006 out of the Univeristy of Oklahoma and spent six seasons as an outfielder in the Brewers system before finishing his playing career with Fort Worth of the independent North American League. Bodenhamer comes to Biloxi after working as the athletic trainer for High-A Carolina in each of the last two seasons. Before joining the Brewers system in 2016, Bodenhamer spent 11 seasons in the Texas Rangers organization, including the 2010 season with the Hickory Crawdads, where he was named the South Atlantic League Athletic Trainer of the Year. He also worked for the Gulf Coast Braves in 2003-04 and served as the athletic trainer for the 2000 Clemson Tigers, who reached the College World Series. Dine, the longest tenured member of the Biloxi Shuckers, returns for his fifth season with the team and sixth in the Brewers organization. He previously worked as a strength and conditioning coach in the Royals organization with Double-A Northwest Arkansas (2013) and rookie level Idaho Falls (2012). Prior to the Royals, Dine spent two seasons as a graduate assistant strength and conditioning coach at Belmont University.